My co-worker, Dave Voyles, made a video about it a while ago, but I thought I’d make one from my perspective, after three years on the job. 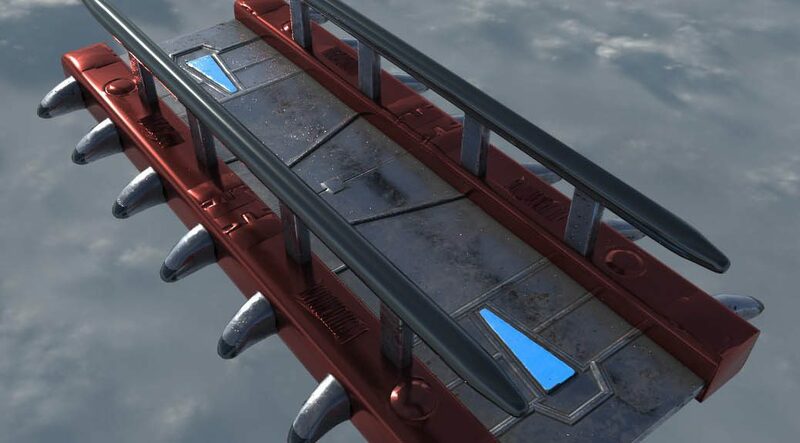 This is a technical blog post about a problem and solution that I encountered with Unity 3D and Azure. Hopefully it will be of use to someone out there. Lately I’ve taken an interest in Microsoft’s Cognitive Services suite, and given some talks about Cognitive Services around the country. Since it makes sense to take some notes on this process, I’m going to write a couple of blog entries going through some of the services available and some sample code for people who want to try it out. Before I start doing that, I’ll just write a brief intro about what Cognitive Services are and why they’re pretty cool. Cognitive Services used to be called Microsoft Project Oxford. Since its debut it’s expanded to include more features. This is a suite of intelligent APIs that work cross-platform to provide intelligent data such as facial recognition in images, voice recognition of speakers, and video stabilization. There’s a variety of APIs to explore here. You can access the APIs from any kind of app that you want to interface with them, though I have been coding in C# the most lately so that’s what I’ll use in examples. 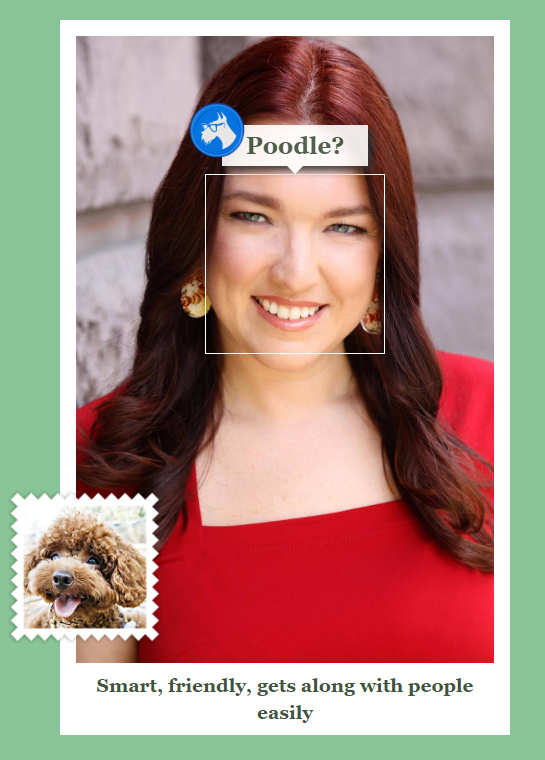 It thinks I’m a poodle. You should check out all the APIs that are available and just play around. I particularly have fun with the Image Analysis. It’s pretty smart, though it’s not always a hundred percent right which is why it gives off a confidence rating whenever it analyzes a picture. What impresses me as well is it recognizes a pretty amazing variety of celebrities, including people from television and Broadway. Also, I will stealthily point out to you that it judges pictures on their Adult Content and Raciness Rating, which has lots of practical and impractical applications. As an Interactive Fiction fan, I’m also really excited about the possibilities in the natural language understanding API. With my background, I think of it as a potential for a much better text parser for a conversational IF. I’m going to be approaching a new project from that angle. If you want to do more than just play and use these in an app, you’ll need a Microsoft account to log in and get API keys. (It’s the “My Account” button in the top corner.) I’ll post step by step later, but if you can’t wait, you may also see me at Philly Code Camp this Saturday discussing them! Maybe see you this weekend! I’m leaving this here to avoid causing any confusion, but I am sorry to report the event has been postponed. We’ll update if there is a rain date for this event as we are still committed to bringing the combo Vive and HoloLens content at a later date. The first few steps of getting Windows up and running are really straightforward! But: I encountered a problem sometimes. Folks told me it’s worth it to write this entry in case other people run into that same problem. Windows 10 worked great for me when my Pi was plugged into the wall. However, I’m creating a device that I want to be portable, so I’m powering the Pi, and the Pi’s tiny screen, with these portable power supplies that run on AA batteries. They work great! Mostly! However, the battery drain on the device from running an entire computer and a small monitor was more than I initially imagined. And batteries don’t die evenly. When the battery power is low, but not entirely dead, the Pi might give the impression that it’s working even if it doesn’t actually have enough juice to work. When that happens, it will start dropping off the network, not allow you to push code, and then, finally, it will lose Windows. When that happens, you might get the dreaded Frowny Face error. This error is very mysterious. A frowny face definitely tells you something is wrong, but it really doesn’t help you understand what. Sorry, I’m showing my age. 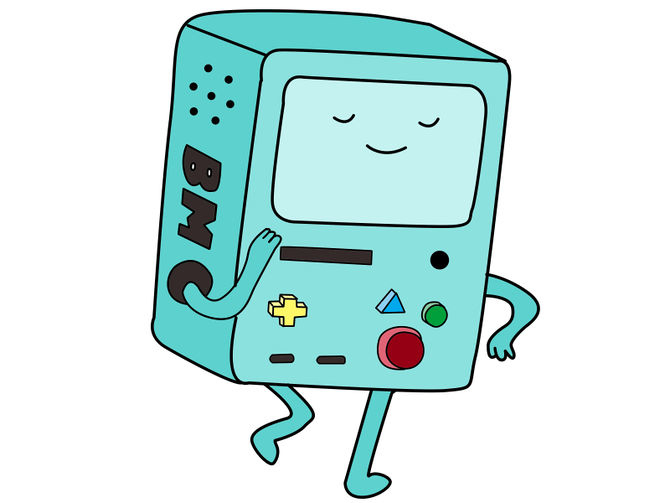 I think this is also a character on Adventure Time? It’s the same character, people; it’s amazing! Only mine was, as I mentioned, frowning. Anyway, I discovered that the problem, essentially, was that the Pi had some power, but not enough power. When it didn’t have enough juice, it wasn’t able to boot up Windows 10 after all. All it could do about this was be sad! The problem was fixed when I simply replaced the batteries in my portable power supply. I rebooted Windows, and I was able to push code again. But since it seemed like it was sort of working, I’m ashamed to admit it took me quite a while to figure out that the problem was the power supply, rather than Windows or the SD card. This is especially true because it doesn’t all fail at once. First pushing code stops working, then Windows stops working, as the power gets lower and lower. So if you do get the frowny face, don’t despair! 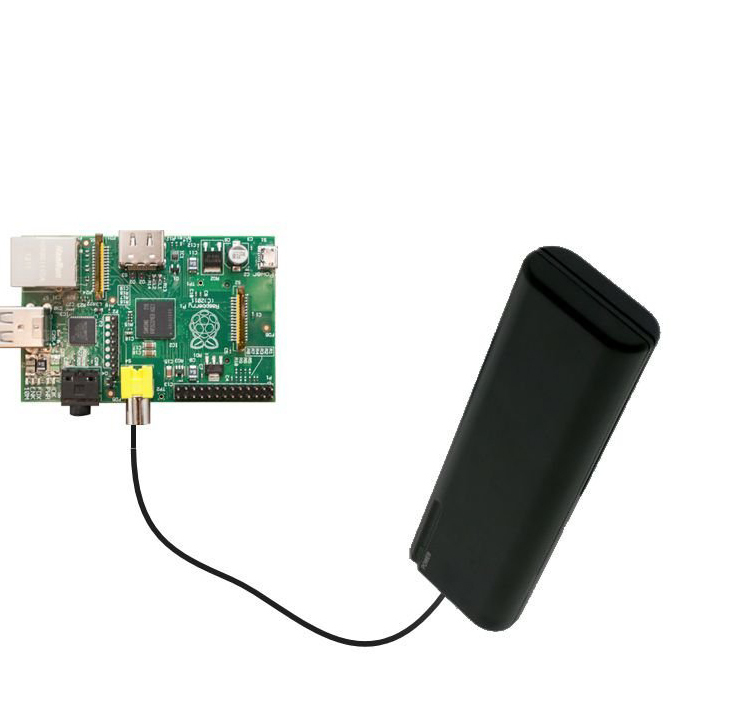 Try getting more power and the Pi will work again. Anyone who knows me knows how extremely excited I was for the HoloLens, the Mixed Reality device being developed by Microsoft. When I saw the live demonstrations of the device, I knew I had to have it. All that being said, as excited as I was about the HoloLens, I was excited about it for reasons beyond my usual. HoloLens has tremendous potential in the fields of science, medicine, construction, education, and engineering. I was not really sure how it would fare as a gaming device, however. It seemed likely that casual games could find a home there, but could a device that overlays holograms onto the real world be home to a deep narrative experience? Well, now I’ve played the game Fragments on HoloLens, and I am convinced. Since this summer, Microsoft Evangelists have been working hard to put more content on Channel 9, Microsoft’s home for tutorial and video blogs. There’s also some great podcasts for your listening pleasure like Tobiah’s Be Indie Now and Dave’s Indie Dev Podcast. I like podcasts when I’m cranking on work on the second screen. 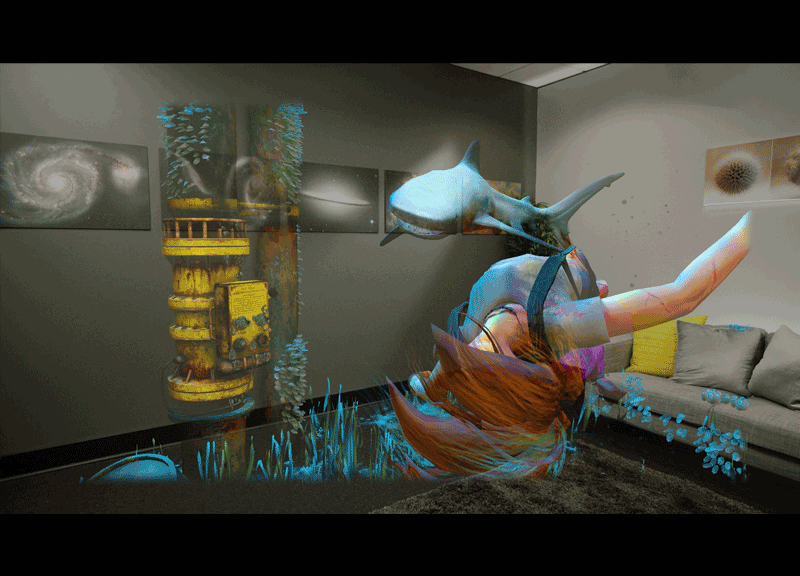 This year, I’m going to help contribute to more game content on Channel 9, and Livi Erickson’s awesome AR/VR show! Because Windows has been slowly transitioning from one app model to another, I found it tricky at first to find Windows 10 specific resources. I started playing around with the Windows 10 specific universal app creation tools recently. Now I’m creating this quick guide to help you make your very first simple Hello World app targeting Windows 10. Hopefully you’ll find this quickstart useful, and then you can move on to using some more complex samples to create more complex apps. 2. In the file menu, choose New Project – > BlankApp Universal Windows. 3. Name the new project HelloWin10. At least, that’s what I did. What you name things initially in XAML is important because references use exact names and if you can’t keep track of names things will be broken. So be sure that whatever you call it you’re comfortable with still using it throughout the project. If you choose to call it something else, make sure that you replace any references to HelloWin10 in the code below. 6. Test your app by clicking the green arrow or going to Debug. An app screen should appear (if you are on Windows 10). 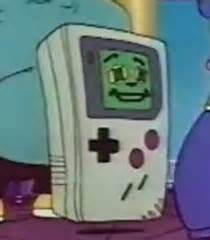 Here the Click Me button calls HelloButton_Click so it displays the text Hello World. Yeah, so it’s not much of an app, but you gotta start somewhere. In the future I’ll make some more robust apps using data from the web and from Azure and show you those processes too. I’m working out of these files on GitHub and I’ll create a few branches. If you see that the code on GitHub has a little more in it than just Hello World, that’s because I’ve also integrated Template 10 by Jerry Nixon which has a few additional features. It’s not necessary to get started, though! For learning more about C#/XAML, check out Virtual Academy. Microsoft Virtual Academy has a “Best of Build and Windows 10” video series you can check out! It goes into the new app model, news for game developers, info about the new Edge browser, IoT, open-source, and more. And for more in depth Windows 10 development content, a free live-streamed event will be held on the same web site starting tomorrow! 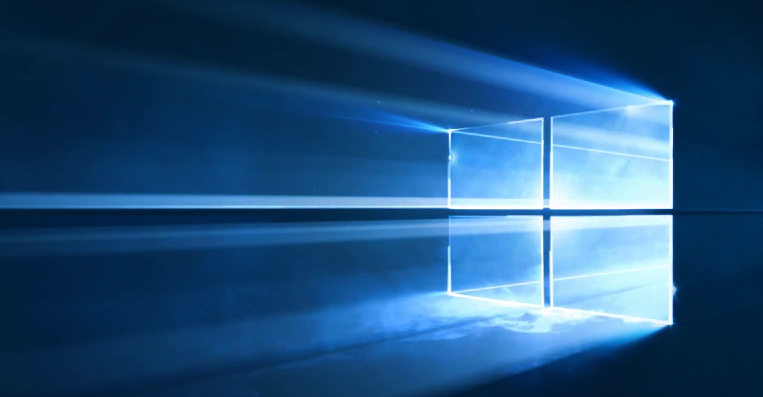 Register now for A Developer’s Guide to Windows 10.